Today Jeannie looks at what may be the most important verse in the Old Testament if not the entire Bible. Jeannie continues her examination of "image and likeness" by looking at the fundamental beliefs of Mormonism and Christian Science. 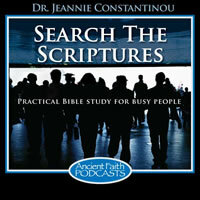 Jeannie explores the teaching of St. John Chrysostom on the Garden of Eden.